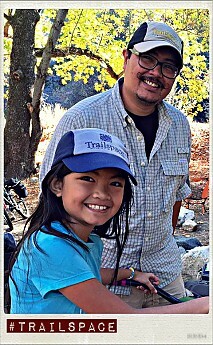 My daughter and I on our bikecamping trip this past weekend. Thanks for the matching hats! That's awesome, way to represent! You both look so happy! I love seeing the happy parent-kid outdoor pictures. Thanks for sharing this great shot! What a great memory for your daughter! I try to bring her on trips as much as I can. I am just lucky that she enjoys being outside as much as I do. Another shot of the little one. After 7 miles, she still wanted to ride. A future gear reviewer perhaps? 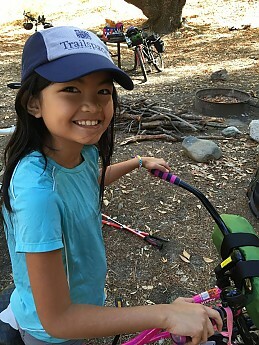 Is there an age limit to gear reviewers? Having her do a "guest review" could be pretty cool!